BY PHONE: (520) 321-3704, Ext. 174 or 120, between the hours of 9:00 a.m. and 4:00 p.m., Monday through Friday. Be sure to ask that the donation be made to the “ACT Anti-Cruelty Fund”. BY MAIL: Mail your donation check to the Humane Society of Southern Arizona, Attention: Animal Cruelty Taskforce, 635 W. Roger Rd, Tucson, Arizona 85705. Be sure to make the check payable to “HSSA” but write “ACT” or “Animal Cruelty Taskforce” in the memo area. ON THE INTERNET: Visit the Humane Society of Southern Arizona website and use the secure payment features to donate online. You can use Visa, MasterCard, Discover or American Express. Choose the “ACT Anti-Cruelty Fund” option. 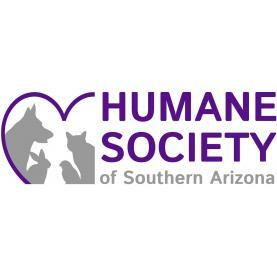 IN PERSON: Donors can drop off their “Animal Cruelty Taskforce” financial contribution at the Humane Society of Southern Arizona, 635 W. Roger Rd, Tucson, AZ 85705. The society is located just west of Oracle on Roger Rd. Hours are Monday through Saturday from 9:00 a.m. to 6:00 p.m.; and Sundays from 12 noon to 5:00 p.m. Closed on major holidays.